For tour dates and venues played in your area join the mailing list by signing up with your email address!!!!!! Thank you for your support and I look forward to putting on a show in your town soon. Ryan Keziah Coming To A Town Near You Soon! 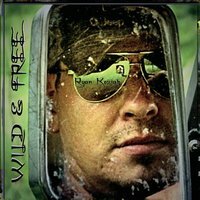 So Download Wild & Free now and get all of your friends on board to check out one awesome performance and a show you will never forget. Talk to Ryan on twitter or facebook and see when he will be in a city near you. © 2019 Ryan Keziah. All Rights Reserved.